I had dry skin and was using lotion that only seemed to make it worse. I was told to try this brand. It was more then I wanted to spend on lotion but it really worked. 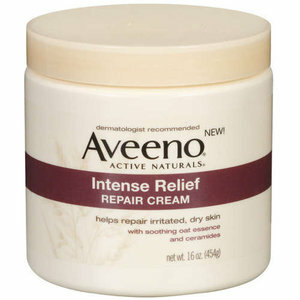 My dry skin went it away and it help to sooth the itch right away. I now use this brand for almost everything. I first tried this a couple of years ago when I received a free jar for a product test. I loved it so much that I've since bought several jars. The cream is rich and thick. It has a nice natural light fragrance to it, but not a perfumey one. I like to put it on right after drying off after showering or bathing, while my skin is still a tiny bit damp, which helps to really spread the cream around smoothly and lightly. Doing it this way I only have to use a small amount, about nickle to quarter sized, to cover a whole leg or arm, so one jar lasts for a decent while. This has become my favorite body cream.